I have to admit, my Pinterest game is super weak these days. I’ve gotten back in the habit of pinning 5,000,001 things and doing nothing with it. So sad, such wasted inspiration. I used to try to do them often (see my Saw It, Pinned It, Tried It posts HERE) but then life kinda happened and I stopped. Then, last week I shared my fall bucket list (see it HERE) and it got me thinking. Enter the Pinterest bucket list! These are all pins that I have on other boards that are just sitting there. And you know sometimes certain good intended pins can get lost depending on how long ago you found it. So I sifted through my boards and started repining them to a new one entitled, you guessed it, “Pinterest Bucket List”. I ready to dig in and get these projects going! What’s on my list so far? 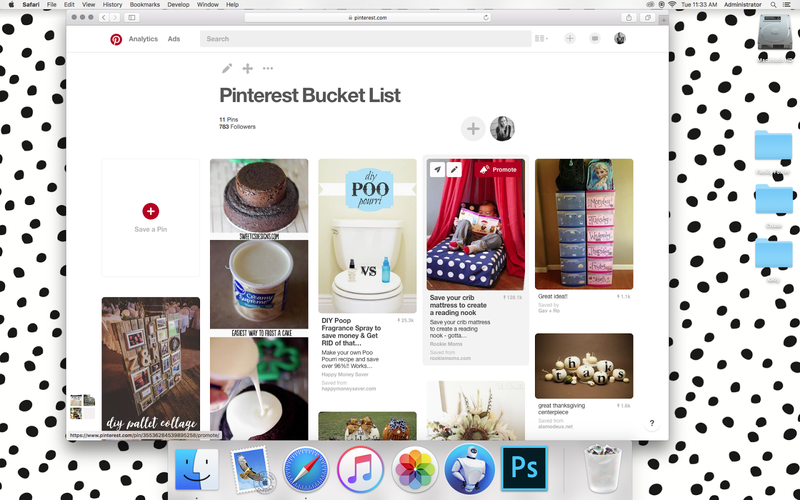 What’s on your Pinterest bucket list?